As the refugee crisis gripped Europe and its Nordic neighbors, politicians and leaders were forced to wrestle with new laws and provisions to stop the influx of migrants arriving on their territory, or at least cope with it. In 2015, Germany opened up its doors and borders to almost a million refugees, while Sweden imposed strict identity checks for all railway passengers arriving from Denmark, Austria and Norway also ramped up border controls to stop refugees entering their countries. The knock-on effect of more checks and border controls in the north of Europe was promptly felt in the south. Italy was left with little choice but to increase controls along its border with Slovenia after the number of migrants crossing into the Mediterranean country dramatically increased. Refugees and migrants walk on a road as they leave Sentilj, Slovenia, on their way to cross the Slovenian-Austrian border on October 23, 2015. By the end of 2015, record numbers of asylum seekers and refugees had arrived in northern Europe, forcing countries like Sweden, highly regarded for its tolerant nature, to increase tough new laws, effectively turning their back on migrants fleeing conflict zones. The number of people seeking asylum in Sweden tripled in 2015 with nearly 163,000 applications sought. Swedish government statistics revealed that 71 percent of asylum applications were made by young men. Sweden then switched their policy from pledging to help people from the Middle East and Africa fleeing conflict, to only offering resettlement to refugees according to the minimum level required by the EU. "We are adapting Swedish legislation temporarily so that more people choose to seek asylum in other countries… We need respite," Sweden's Prime Minister Stefan Lofven said at the time. In order to do this, Sweden amended its Aliens Act to only offer the number of temporary residence permits to asylum seekers that it is obliged to do according to EU rules and United Nations conventions for the next three years. 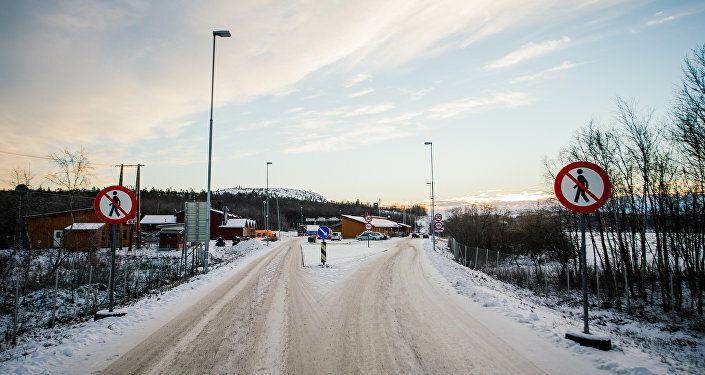 ​Following Sweden's adoption of new immigration laws, the majority of refugees arriving in Sweden have only been offered temporary residence permits since April this year. Following the adoption of temporary residence permits, the number of people seeking asylum in Sweden has dropped from 163,000 in 2015, to just over 19,000 this year; and 10,000 people have voluntarily left the country between January and August 2016. That number includes those who voluntarily withdrew their applications for asylum — and those who have been refused. From June 1st 2016, asylum seekers who had their applications rejected also lost their right to a daily allowance and housing, this new law has led to around 2,500 people losing their grant.